In electronics, initially I displayed my name using Seven Segment Display(SSD). I had already posted that in My First Blog. After that I wanted to learn more on SSD. So I was asked to make a digital clock. I have completed the first digit of the seconds. I used two JK flip flops (HD74LS76A), decoder (SN74LS47), a SSD (Common Anode) and Signal Generator. I first made the connections of JK flip flop on a breadboard. 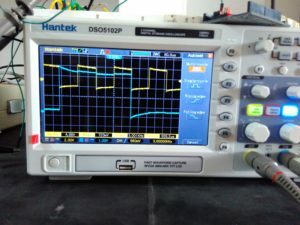 The input is clock signal which is generated from a signal generator of Frequency 1Hz. The combination of the two flip flops acts like a counter. 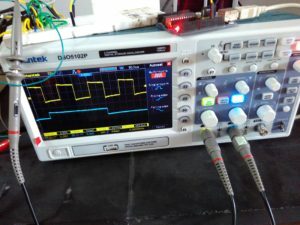 Once the circuit is connected, I tested the output of the flip flop using an ocilloscope. I got the waveforms like this. Then I took the decoder and connected the outputs to the input pins of the decoder. Decoder (converts the binary information to 2n outputs) is connected to the seven segment display. While doing decoder I was able to recall Karnaugh-Map which is the logic behind it. The output of the decoder is fed to the seven segment display. Once everything is done then it counts from zero to fifteen (f-represented in binary). Since the one’s digit of the clock counts only upto nine and after that it should reset to zero. For resettting the digit to zero I used NAND gate. Binary representation of nine is 1001. When the Most Significant Bit and the Least Significant Bit are high(1) then it should reset to zero. I have completed the first step only, but I feel happy that I learnt and understood what I did. I acknowledge Sanjeev, Sundhar and Ranjith for guiding me. Sinthanai Sangamam is happened on 21/02/2018. It is a new kind of experience with around 600 teachers from different places. I have presented a paper about STEM land. The great thing is I got an opportunity to share about, my journey with the children in STEM land.The wonderful thing is that I am in STEM land. Why I came to STEM land is, I want to learn more about electronics that is why I came to STEM. 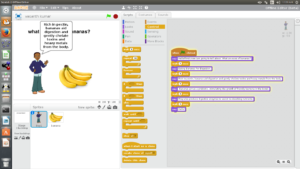 I have learned about electronics what I have learnt that came as a few product that is inverter, display my name using 7-segment display, mobile charger, solar powered charger etc..Then I learned some of the programming from students that is scratch and geo gebra these program will be used in mathematics. These things I have explained in very shortly. In Sinthanai Sangamam everyone shared their experience with the children. 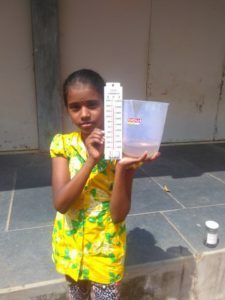 How they interact with the children, what method they are following in their school, what kind of projects their students done and how we can connect to science and maths in our real life. The one main thing what I learnt is there should not a gap between children and teacher. 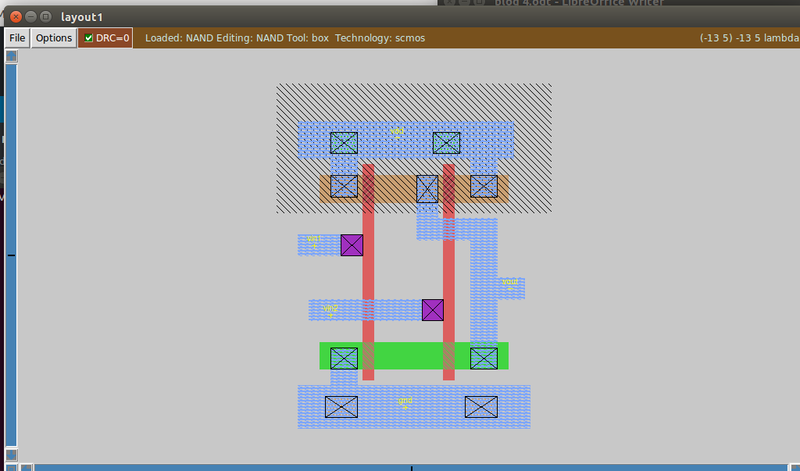 In VLSI layout course I learned to design a gates using NAND. Then I have checked the NAND gate truth table with the help of bread board, battery and multimeter. I learned to use magic tool, how to extract and how to simulate the layout. I learned the cross section of CMOS and what colour coding we have to use for the each components. 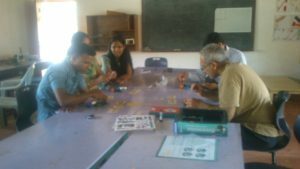 We met Parul when we presented our paper (“Fostering responsibility in learning in rural schools) in TISS Mumbai. She is a management trainee in BPCL. She wanted to learn more about STEM land so she visited STEM land last Sunday. She came with her parents. She saw all the Montessori materials we used and asked how they were used and for what purpose. Then she was keen in understanding how children learn multiplication tables using Vaughn cube. We explained her the pronunciation and the corresponding numbers. She tried finding it herself and was happy that she understood it. She also shared it with her parents. She learned about the 3D printer and designed a 3D object in Blender. We showed her some projects made by children in scratch and Geogebra. Her parents were trying to solve some cast puzzles. We all played dimension games and were explaining about how STEM land works and what we do there. Parul enjoyed STEM land and wanted to support us on our research work. I’m back after two week gap, I notice lot of things happened here in two weeks. 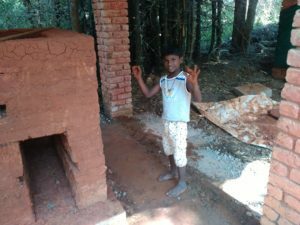 I worked on an EBD (Education by Design) project with children in Isai Ambalam School. 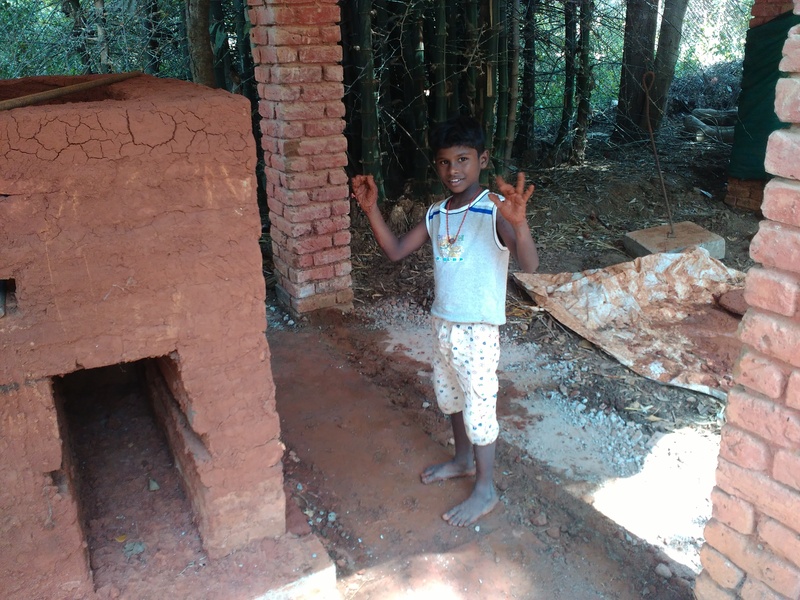 They had built a red mud and brick oven, but are concerned that in the rainy season the red sand get eroded by water. 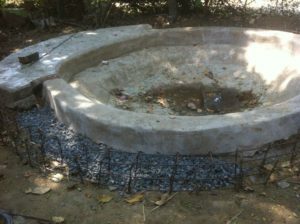 They want build a short wall to protect the oven from flow of the water during the rains. 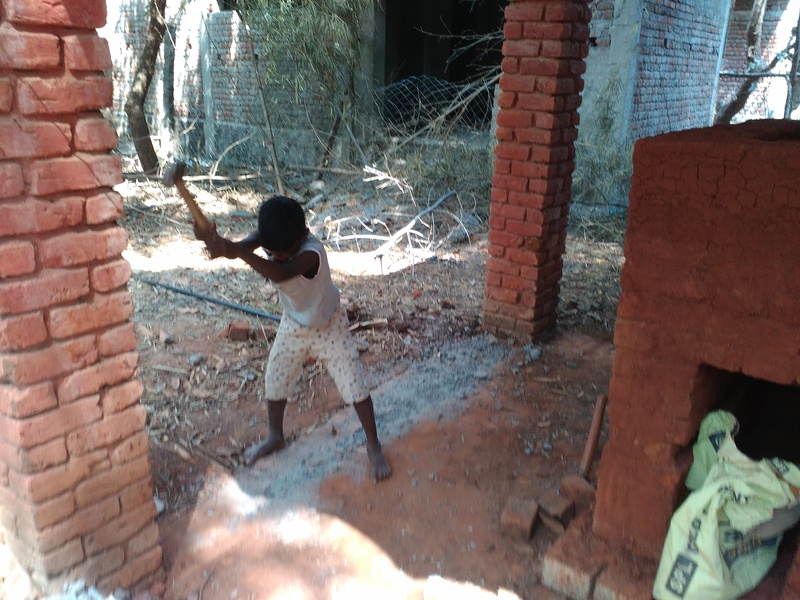 Now they are in the process of cleaning and breaking and making the floor plain to raise a wall from there. 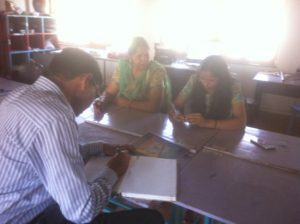 It was amazing experience with children and they are eager to finish it soon. A tool called magic used for VLSI layout. I did the layout of an Invertor, NAND gate. Then I learned how to create a hierarchy and import a NAND gate layout and use it to create XOR gate by wiring using different layers of metals to avoid a short circuit. 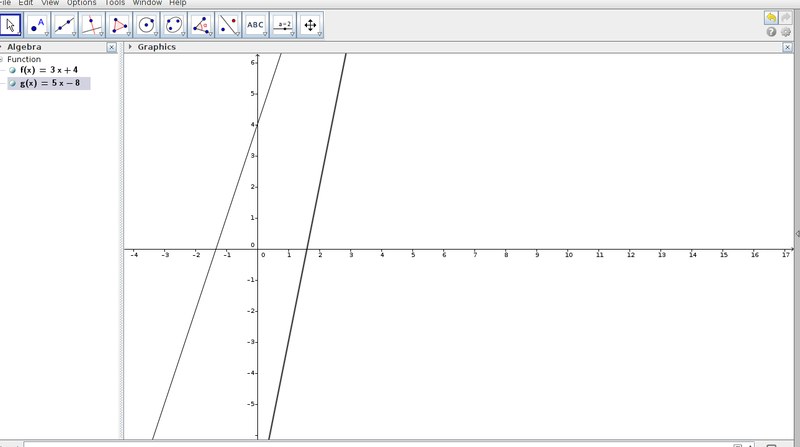 I learned to use Geogebra and have used it to solve a linear equation. This worked for me and it was new to me. It is increasing my interest in mathematics.Now I am eager to solve many equations. Whatever we enter an equation the tool puts the waveform for it. For example, I have taken 3x+2y=0 is a linear equation. From that diagram we can easily identify that is linear equation. This was surprising for me. 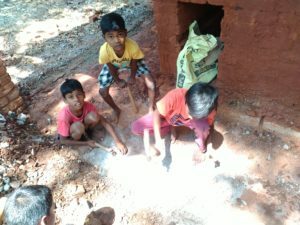 I worked on EDB (Education by Design) with students at Isai Ambalam school.The pond which they have built before was cracked by roots of old trees .So because of that students want to reinforce the pond.Now they are in process of adding iron rod and concrete item so that the pond won’t get break again.It was wonderful experience with them.Is very good to see like that students they were full of energy. I also made a small animated video with Goanimate.com it was great idea. It gave an idea of how I can convey something that feels more interactive. It was fun and awesome because whatever we want convey to the students we can convey by making an animation video. It was my first experience with goanimate.I made a video about multiplication story. Here are some snapshots in case you cannot see the flash content above. (I.e) there are 3 children, if I gave 4 bananas to each of them how many bananas did I give in all? The answer also I have shown.The answer is 12(add there number of bananas each have and we will get the answer easily). Raman Young Science Innovator Award is a contest for students studying from III to X standards grouped into three. Students from IIIto IV, V to VIII and IX to X. We heard about this contest and started registering for it on 31st January. The registered students got their login credentials through their mail after 31st January. 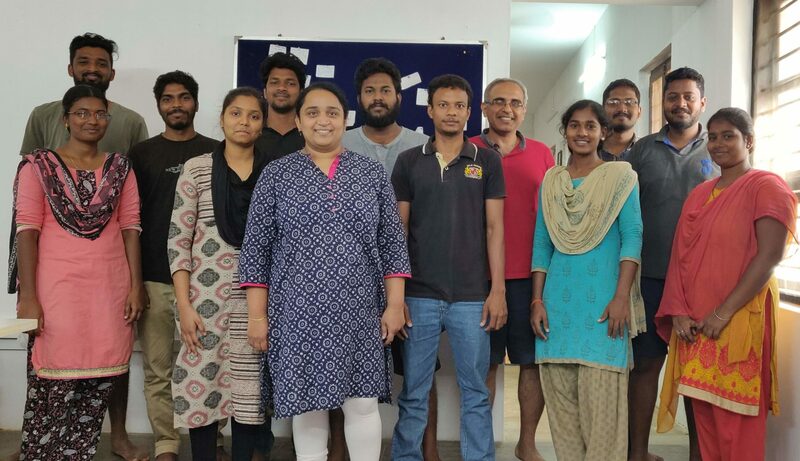 We submitted their projects on the last date on 10th February (extended to 12th February). 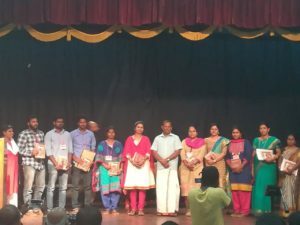 Eight students submitted their innovation projects from Isai ambalam School. 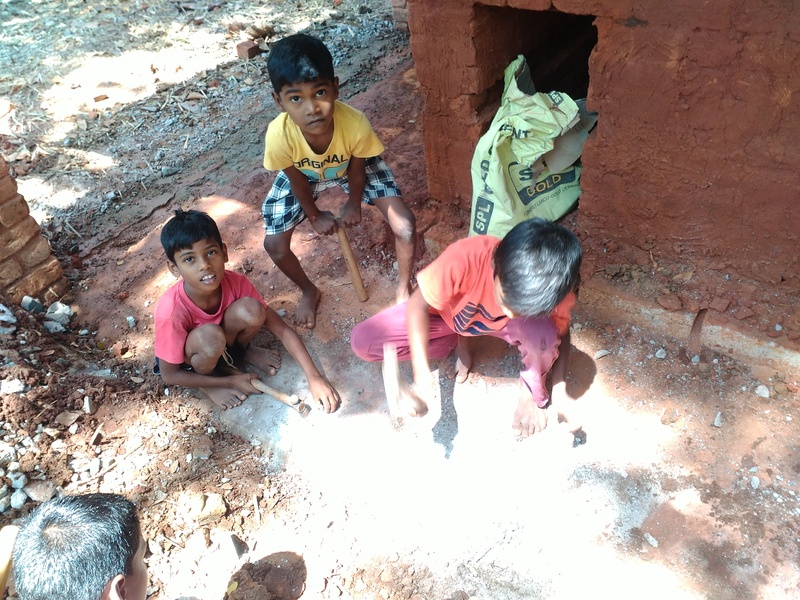 They are Ayush Jena, Suresh and Vasanth Kumar from class VII. 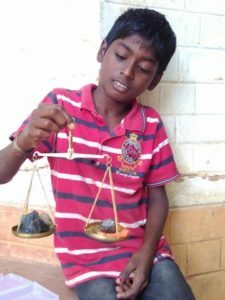 Balamurugan, Kaviya, Sabari anandh and Yuvasri from class VI and Sharani from class V.
Ayush chose the topic buoyancy. He made an animation using scratch which explains the buoyancy of ships. He made his project on conductors and non-conductors.His main objective of the project is to find if the material is a conductor or non-conductor.He made a circuit and placed in inside a box.If the material is a conductor then the light will glow. 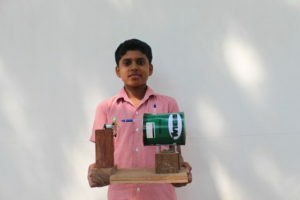 If the light doesn’t glow then the material is not a conductor(non-conductor).The materials he used to make this project are wires, bulb, battery, box and iron. 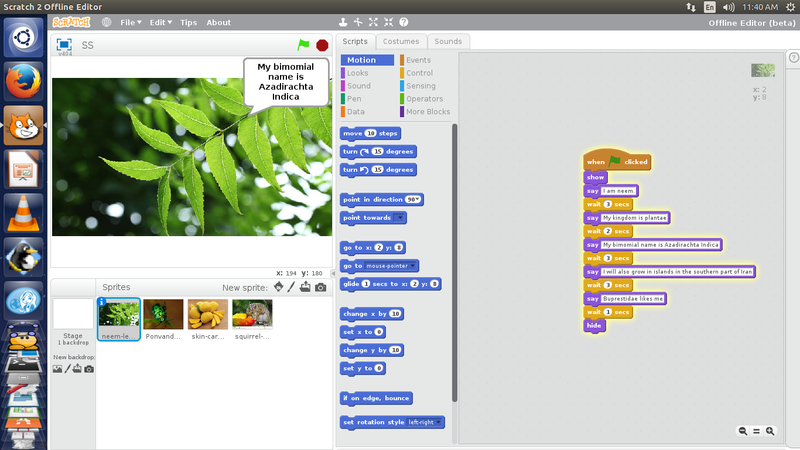 Vasanth Kumar chose the topic Plant Kingdom. 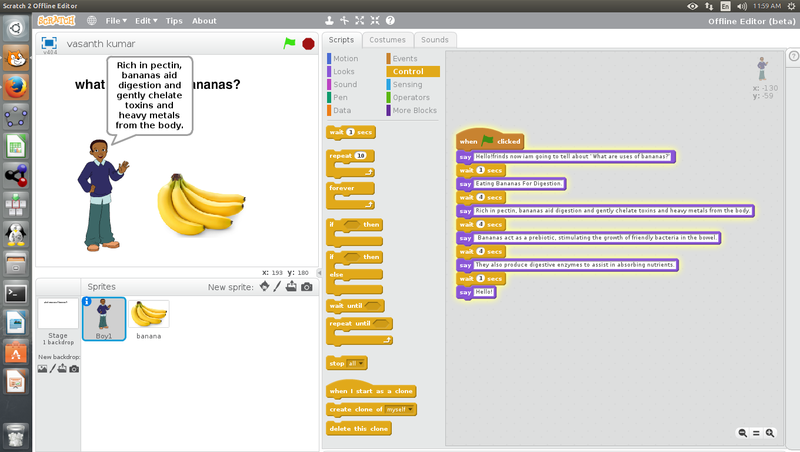 He took banana and he made an animation using scratch.In his animation he explained the benefits of bananas, scientific names and different things about it. He chose the topic density. 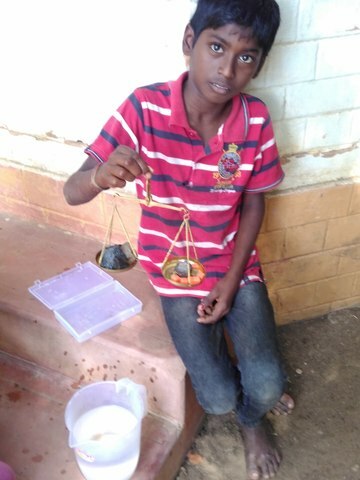 He took a bowl of water and filled water upto 100 ml. Then he put some stones in the bowl until the water level rises to 110 ml. Then he took the stones in the bowl and weighed them with a weighing machine. 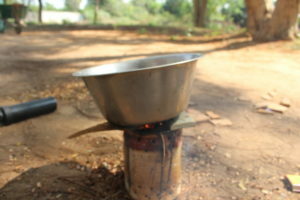 It was 100 gm, which is equal to the rise in the water level. Kaviya made her project in convection. 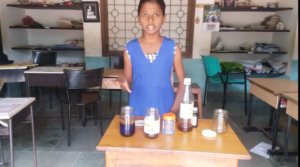 She experimented by using coloured ice cubes. She was able to see the colour of the ice cubes get sink in the water. She observed that the speed of the speed of the ice cubes dissolving in water. Sabari chose the topic Plant Kingdom.He made his project using scratch. He selected neem, squirel, mamgo and described their important characteristics. 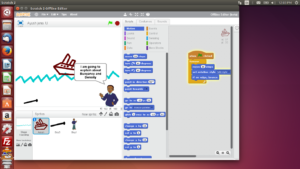 Then he explained what is the connection between them using scratch. Yuvasri chose the topic melting point. She tested the melting point of ice cubes. She understood why the ice cubes melts when heated and what happens when heated. Sharani chose the topic density. She took honey, vegetable oil, soup oil, coloured water and syrup. She poured all the liquid one by one glass bottle. Honey settles down because it has density greater than one. Similarly she formed five layers in the bottle. We are conducting a basic VLSI course. 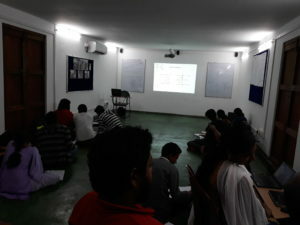 Around 16 participants from in and around Auroville are coming in to learn. We are only focusing on Digital layout and understanding basic concepts. Give an introduction to CMOS technology and fabrication process. Give an intro to CMOS Transistors and it’s working. 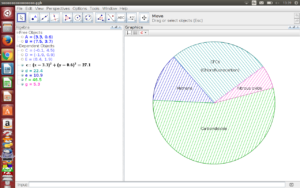 Introduce people to stick diagrams. 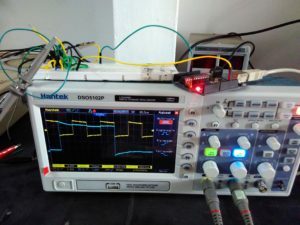 Introduction on CMOS transistors and working. Demo on LT spice simulation tool. Introduced CMOS Inverter and ask participants to simulate an inverter in LT spice. Showed a video on fabrication process and manufacturing a chip. Introduced stick diagram and how it helps to get started with layout. Participants drew a stick diagram for an Inverter. Helped them to login to our central server through VNC. This helped them to avoid installing magic in their laptops. 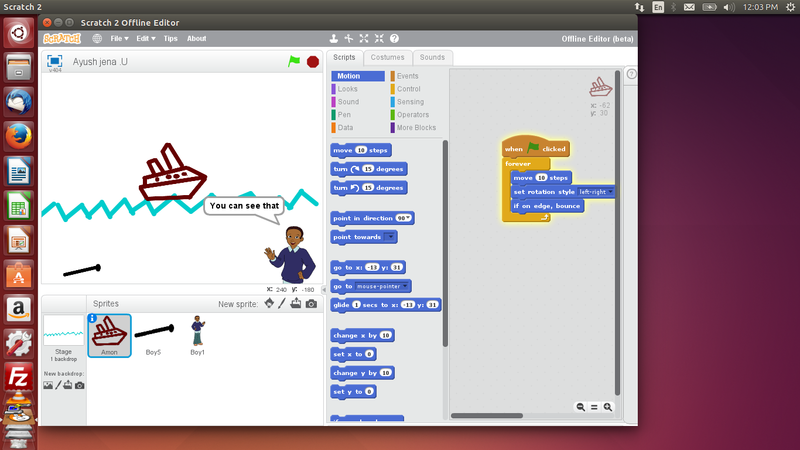 We haven’t figured out a way to install in windows so far, but Magic sort of works fine in Ubuntu platform. Showed top view and cross section of a CMOS transistor. 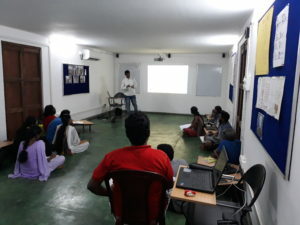 This helped them to understand the fact that layout is all about top view of the devices. Participants laid out an invereter using magic. 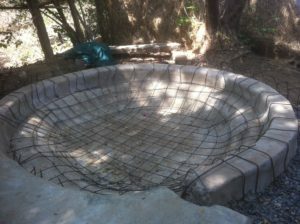 Once that was completed we showed them to extract and create a netlist. Netlist helps us to understand the connection and cross check whether the layout we laid out is correct or not. Extracting NET list and with the same netlsit draw the schematic usind the netlist. Whoever completes should layout a NOR gate and repeat STEP 2 and 3. Understand the truth table for all gates. Task 1: Using NAND gate create OR, AND, INVERETER and EXOR. Draw schematic and derive the logic for the same. 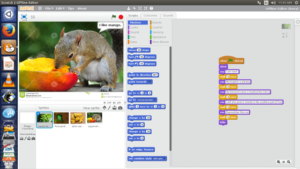 Task 2: Build those gates using DM74S00N and bread board and test whether their logic were appropriate. Intorduced Hierarchy. Showed how to import models that can be used to create complex layouts. We wanted people to see a real layout and at the end of the course, layout a micro processor. Showed them a layout of a real chip. There are three main blocks necessary for a micro processor. ALU unit, Memory and Counter. We used full adder for ALU and Flip flops for every bit for a memory and counter. During the activity class in Udavi school children were working on different applications like Goanimate, MIT Appinventor, Stykz and scratch. Muralidharan anad Nirmal was working on Goanimate. 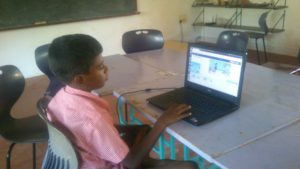 Murali made a video called help others. He made an animation of a man sailing on the boat searching for treasure but then on his way he finds a man in an island asking for help then he goes and rescues him from there. 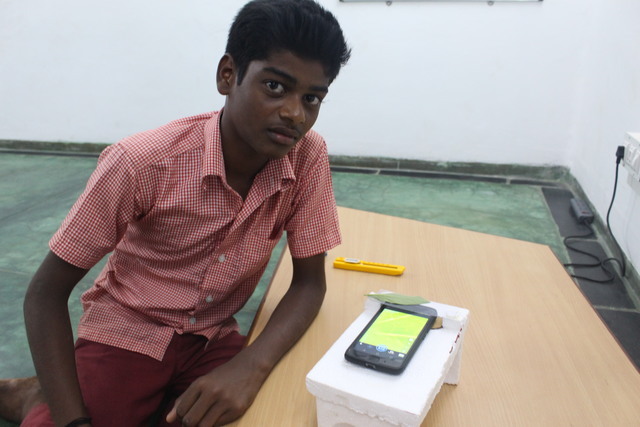 Aravindh built a timer app using MIT Appinventor. 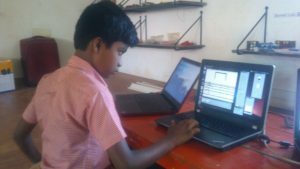 Jeeva worked on scratch and programmed a game. Yuvan was working on Stykz and learnt to insert figures in it. 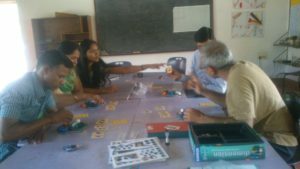 It was interesting to see them working on their own on different activities. They were so curious to learn new things and enjoyed learning. Nirmal learnt Go animate and was animating a video to represent a geometrical concept during his math class. Raman Young Science Innovator Award is a contest for students studying from III to X standards grouped into three. Students from III to IV, V to VIII and IX to X. We heard about this contest and started registering for it on 31st January. The registered students got their login credentials through their mail after 31st January. We submitted their projects on the last date on 10th February (extended to 12th February). 11 students from Udavi School chose their topics and submitted their Innovation projects. 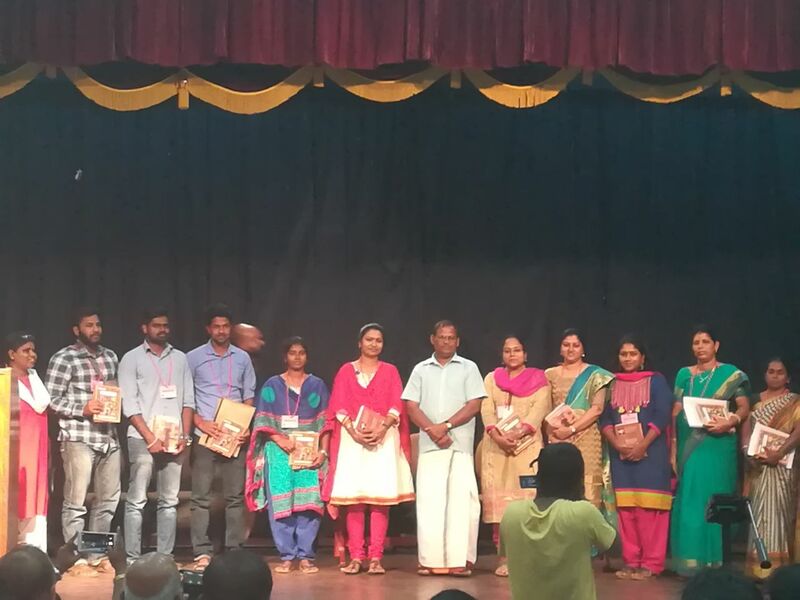 They are Abitha, Amsavalli, Hariharan, Kabilan, Punidhavel, Suriya and Vignesh from IX standard. 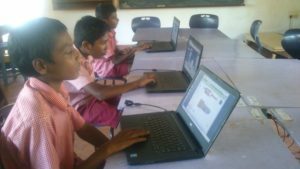 Baranidharan from VIII and Arvindh, Pranav and Vishal from VII standard. The topics were based on their standards. Abitha chose the topic refraction. 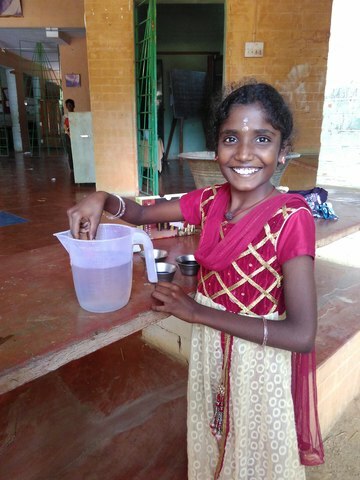 She studied about refraction in her academic books, so she thought of making it in practical. She made her project using GeoGebra. 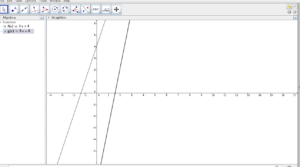 GeoGebra is a Dynamic Mathematics Software (DMS) for teaching and learning mathematics. She used two mediums. Both of them are air. The incident ray and the refracted ray has the same angle. The refraction index of the second medium increases then the angle decreases. 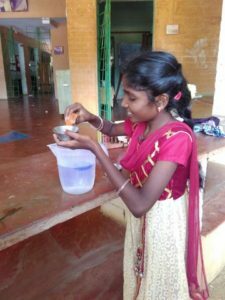 Amsavalli did a project on reflection. 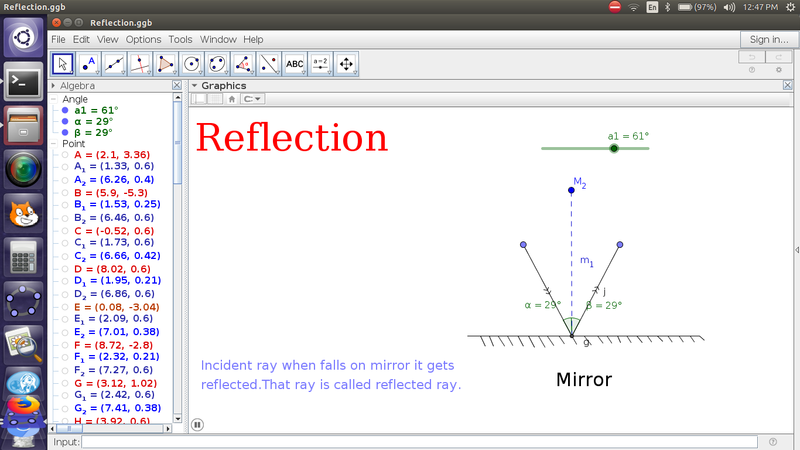 She did her project using GeoGebra.When the incident ray falls on the mirror and the ray gets reflected. This is the reflected ray. 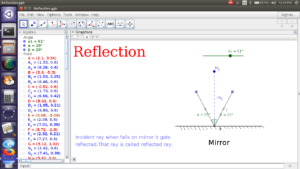 She showed the angles of the reflection in an animated form. Hariharan chose the topic frequency. 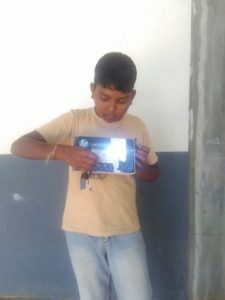 He made his project using Arduino. He used an ultrasonic sensor which will detect the object. 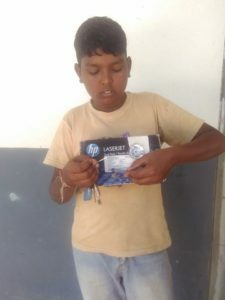 He wrote his program in Arduino. When any object is placed in front of the ultra sonic sensor it makes beep sound. When the object is far from the sensor the volume becomes low. Based upon the distance of the object to the sensor, the sound will differ. Kabilan made a microscope using a mobile phone and lens of laser light. He placed the object on the lense and it shows the enlarged image of it in the mobile. He made this microscope, because when he was using a microscope the light hurt him. So he wanted to make a microscope which does’t hurt. 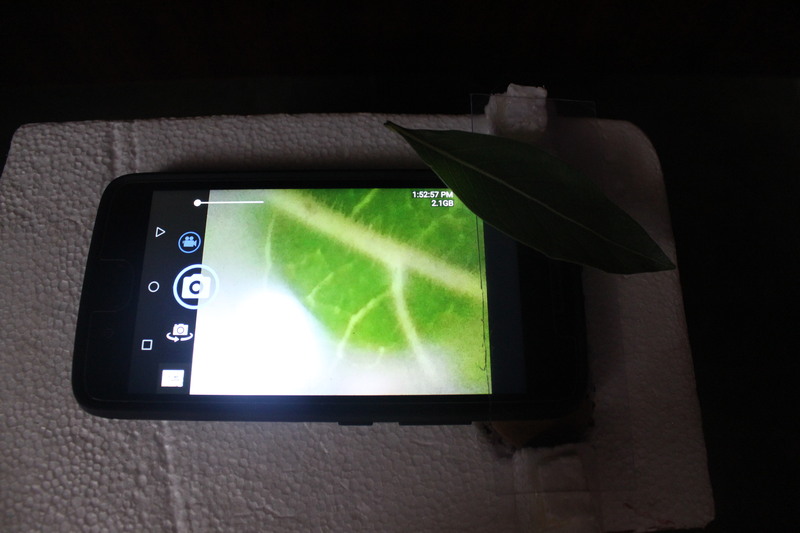 He tested the microscope by seeing the microscopic view of leaves and insects. 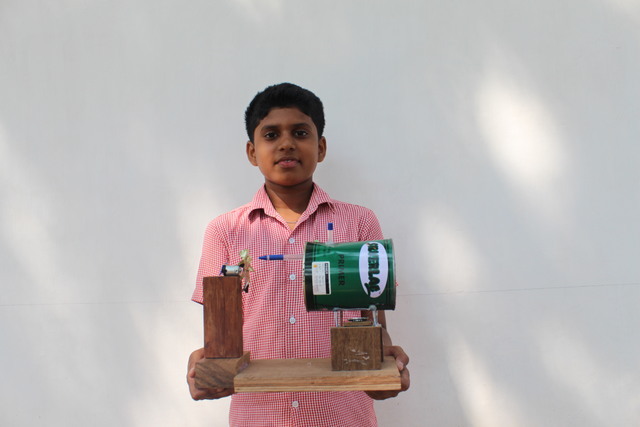 Punidhavel made a piano using resistors, basar and battery. He made his connections in a breadboard. He used resistors and buzzors to make sound. After completing the project he made the sa re ga ma tune. 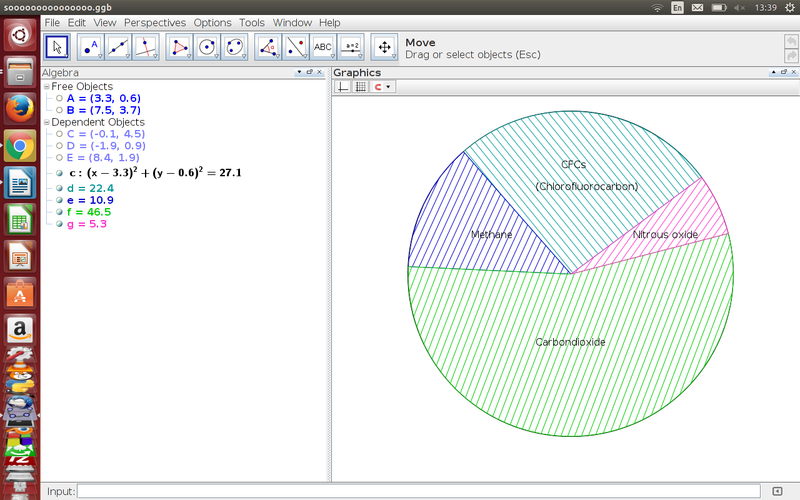 Suriya made a pie chart using GeoGebra about the natural gases in the atmosphere. 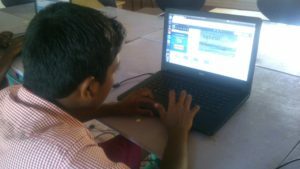 Vignesh chose the topic frequency. 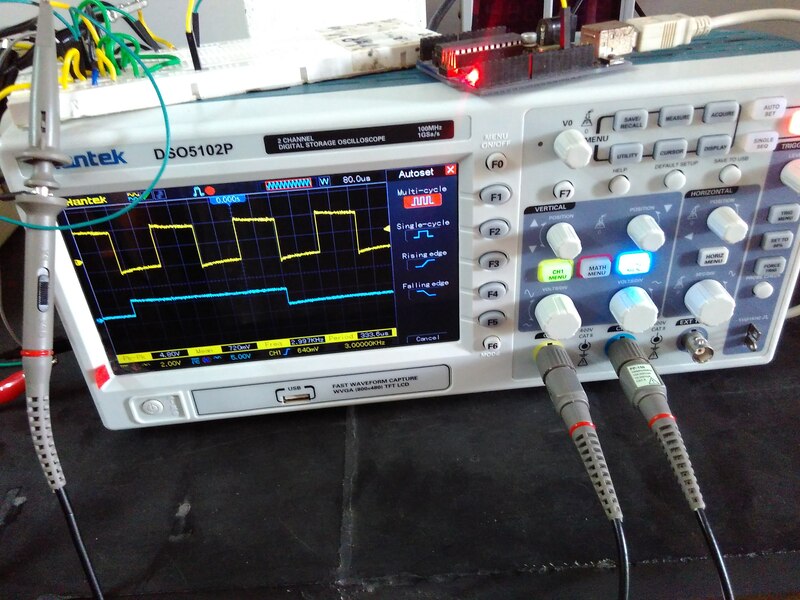 The materials which Vignesh used are ocilloscope, microphone and 341 tuning fork. He measured the frequency of tuning fork with the help of microphone and oscilloscope. By using this we can also measure the heart beat frequency. He made an inverter using Arduino. The materials he used are Arduino, Breadboard, voltage regulator, resistor(10 k ohm), 9V battery, transformer, wires and laptop. He made a program to blink the Led at 50Hz. Then he dumped the program in the Arduino. 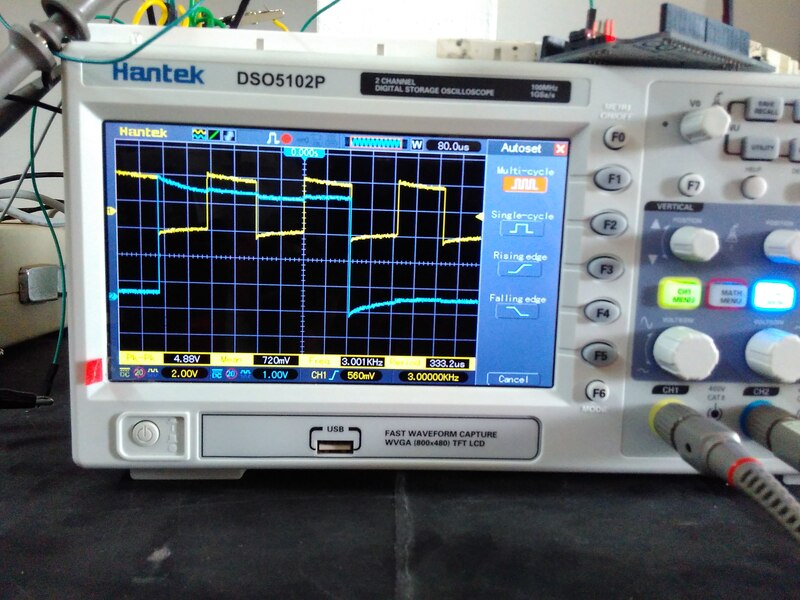 He connected it to a CRO and saw the square waveform. 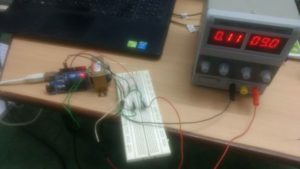 Then he connected the remaining circuits on the breadboard. 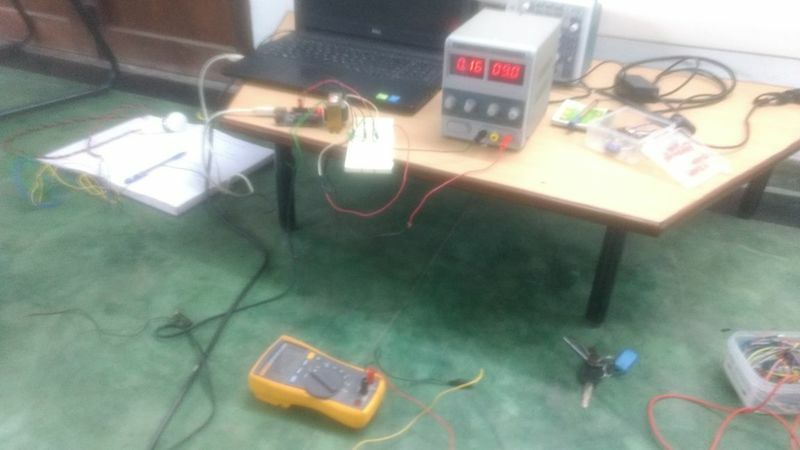 He used the voltage source from which nine volt DC input is fed to the transformer. The output of the transformer is 230 volt AC. After that he connected a 5 Watts bulb to the ouput. Eventually the bulb glowed. 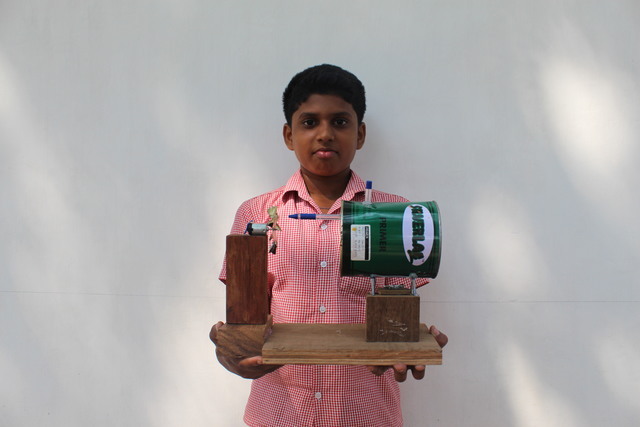 He made his project on slow combution explaining the ignition temperature. Pranav made a steam engine.He took two wooden pieces and on each edge he made a hole and put a screw. He placed a tin above the wooden pieces and stuck it with glue. He made a hole on top and one side of the tin. He broke the pen into two and inserted each piece in the two holes. Then he kept a motor which was connected to another wooden piece. A Led was also connected to this wooden piece. When fire is lit up, it goes through the tin and it makes the turbine to rotate. Vishal made a project on combution. He made a small stove using two tins. First he took the small tin and made holes then the bigger tin and made holes in it. The smaller tin is placed inside the bigger tin. A vessel is placed on the tin. Using small wooden pieces he made fire. 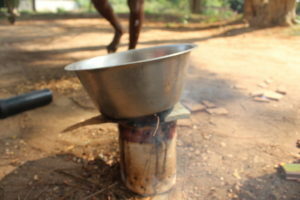 He poured water in the vessel, which got heated quickly. Students made their project with their full involvement and felt happy after submitting their innovation project.